Air pollution levels rose in nearly a third of Chinese cities monitored in the second quarter, environmental campaign group Greenpeace said Wednesday. China's cities are often hit by severe pollution from coal-burning by power stations, heavy industry and vehicle use, and it has become a major source of discontent with the ruling Communist Party. Air quality worsened year-on-year in 103 cities from April to June, nearly 30 percent of those monitored, Greenpeace said. It cited pollution data collated from China's environmental protection ministry, which makes live figures available but does not publish full historic or comparative statistics. Communist authorities are looking to retool the economy away from heavy industry and exports to one led more by consumer demand, but the transition is proving bumpy. "It is now clearer than ever that air pollution and coal-burning heavy industry are directly connected," said Greenpeace's East Asia climate and energy campaigner Dong Liansai. China's financial hub Shanghai saw its average PM2.5 level rise 6.1 percent to 48.4 micrograms per cubic metre in the April-June period, in comparison with the same period in 2015. Exposure to the minute particles in the 2.5 size range can affect lung function and worsen medical conditions such as asthma and heart disease. 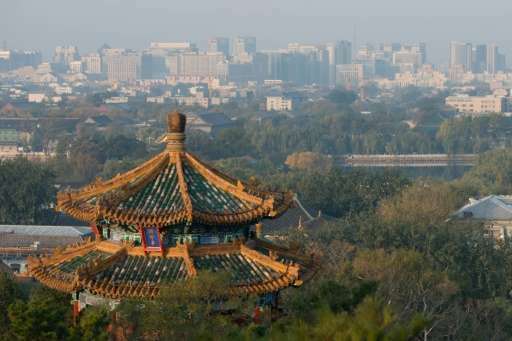 But Beijing saw its PM2.5 level drop 6.9 percent to 59.2 micrograms per cubic metre in the same period, year-on-year. The World Health Organization's recommended maximum is an average 25 micrograms over 24 hours and 10 micrograms over a year. The government has declared "war on pollution" and vowed to reduce the proportion of energy derived from coal and fossil fuels, but critics say efforts have fallen short of expectations.